Join us June 10-11 to re-ignite the creative potential of your learning environment and discover the energy this dynamic new neighbourhood. Registration is now open. contribute to developing a generation of creative problem-solvers. “Creativity” most often evokes images of a painter in front of a canvas, a sculptor before a block of marble, or perhaps a musician composing a tune. However, creativity is much more than just the Arts. Every innovation and every solution to a problem is the result of creative thinking. We have creative thinking to thank for most of our modern conveniences, but sadly also to blame for many of their problematic consequences. While creativity is a fundamentally human trait, studies have also shown that it is in alarming decline amongst today’s youth. This does not bode well for the daunting challenges that our society is facing. As educators, we need to do a better job of fostering creative thinking. 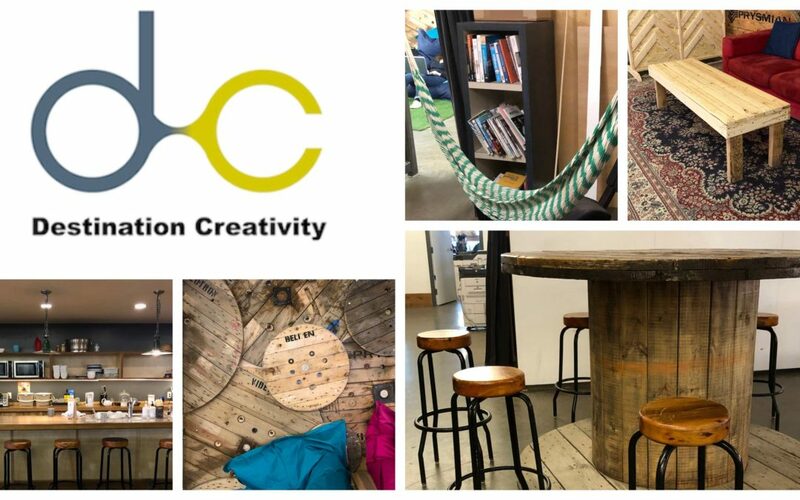 Destination Creativity invites teachers and other educational professionals to this two-day workshop devoted entirely to creativity and innovation. Participants will explore the fundamentals of what creativity is, the conditions needed to make it happen, and the choices that schools can make to engage creative thinking, not just in the classroom, but throughout the institution. The workshop will be held at Esplanade, a multi-purpose co-working facility in Montreal’s funky Mile-Ex district. This venue is itself a place of creativity, dedicated to supporting workers in all fields. Participants will be invited to integrate the elements of this space into their own exploration of the elements of creative thinking. By the end of the workshop, participants will have built a tool kit of creative techniques for immediate implementation in their educational environments. What are the workshop details? Accommodations: not included. A list of recommended hotels will be sent to participants upon registration. Cost: $325 per person, space limited to 16 participants. Lunch is included on both days. Who is the workshop leader? Daniel Stewart, a junior college teacher and programme coordinator, is the founder of Destination Creativity. He has been an authorized teacher trainer for the International Baccalaureate organization since 2006. He has led workshops in Canada, the US, Europe, South America and North Africa. Understanding the role of creativity and innovation as a vital – but often neglected – component of education has been the focus of Daniel’s research for the past several years. Click on this link to register via Eventbrite. Pay with your credit card. Click on the “download” button below for the registration form. Complete the form and e-mail it to destinationcreativity@gmail.com. Make your payment using Interac e-Transfer (Canadian participants only.